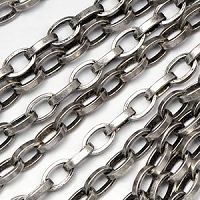 Nice elongated link chain with rectangular wire. 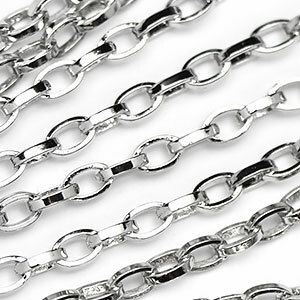 Mix and layer with finer chains for modern look. 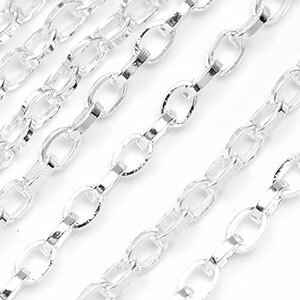 Makes nice bracelet, lariats, long, and shorter necklaces with chunkier centerpieces. Smooth and comfy to wear. Great base layer! 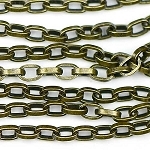 Metal plates over brass chain. You get approx. 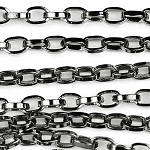 7.5 links per inch. 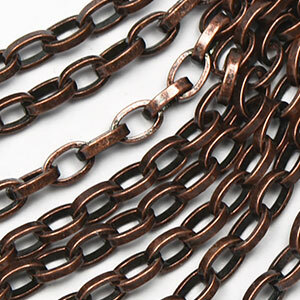 We ship longest sections with as few connections as possible. 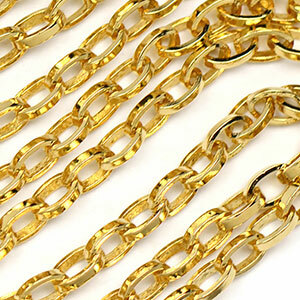 However, we can not guarantee one continuous length on longer sections.